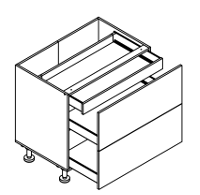 2 Drawers Base Bodies → Bodies for our cabinets which have 2 drawer fronts visible and then 3 drawers inside them. 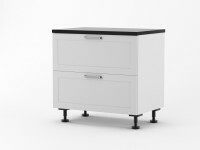 The top drawer has an internal hidden drawer in it. 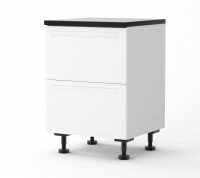 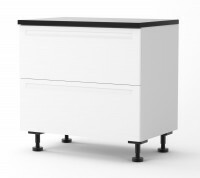 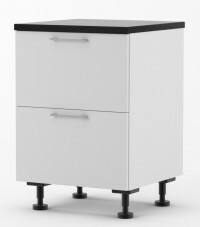 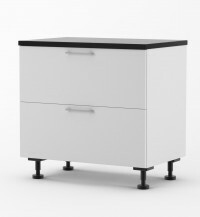 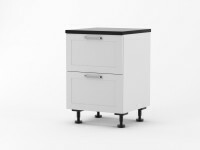 The larger 900mm version has upper drawers designed to fit around a sink. 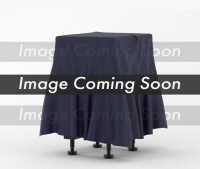 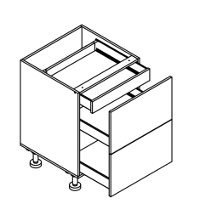 Required hardware such as hinges and runners are included.